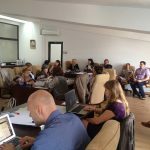 The innovation workshop for social entrepreneurs, NGOs and public administration officers under the lead of SOG-TIM partners took place in Sibiu, 18th of May, 2017. 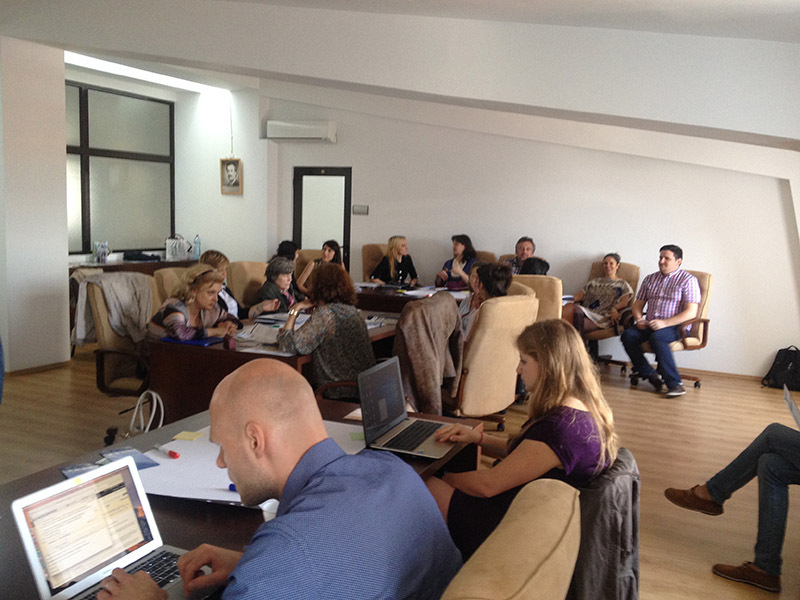 The main organizer was Lucian Blaga University of Sibiu as a SOG-TIM project member. 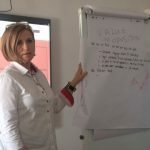 The main goal of the workshop was to spark new and sustainable way to address the key challenges surrounding the issue of refugee crisis and migration. 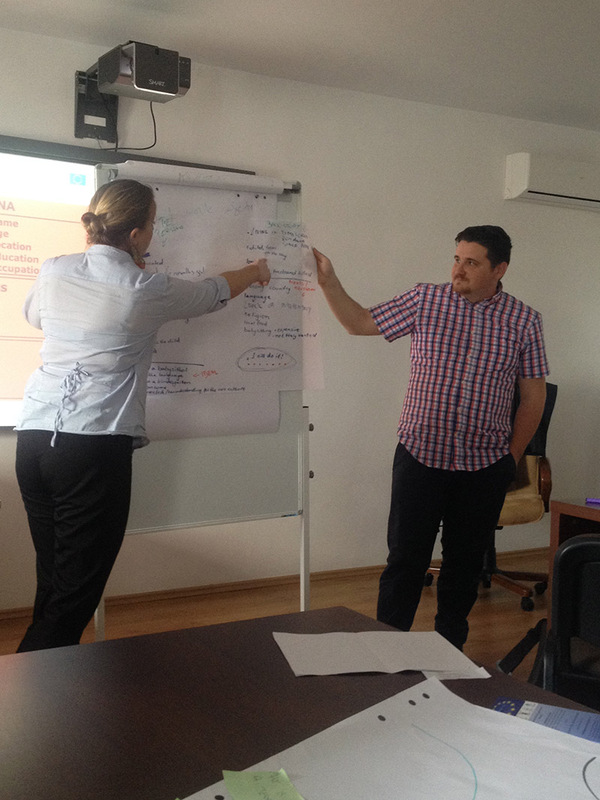 Besides the six partners of the SOG-TIM project, several key Romanian stakeholders joined the workshop to work on the common goal. Among the most representative participant organisations, there were present local government representatives (Prefecture of Sibiu County, Territorial Employment Agency Agency, Territorial Labor Inspectorate of the Ministry of Employment, Family, Social Protection and Elderly Persons), representatives from local and national organizations and NGOs in the field of Human Trafficking and Migrants (AIDRom- Timișoara, Women Association Sibiu, Pro Pretenia Arad), researchers, academia and experts on social entrepreneurship, migrants ad victims of human trafficking, (National Association of Social Workers, Ecumenical Research Center, Lucian Blaga University of Sibiu,) PhD researcher of Romanian women victims of Human trafficking in Italy), number of charitable and social inclusion oriented NGOs (EMMA, Elijah, Evangelical Church, Aer liber, Asociația De-a Arhitectura), a refugee from Syria, as well as an expert in the economic business field involved in social projects (UNIMAT). The active program began with the welcoming and registration of participants, followed by an informal networking lunch. 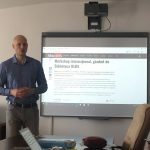 Nest, the welcoming and the presentation of SOG-TIM project was followed by the introduction provided by the SOG-TIM project and team, provided by the Romanian team. 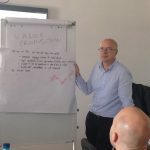 The core program consisted of several brainstorming sessions, starting with empathy and issues challenges related to the beneficiary target group persona. 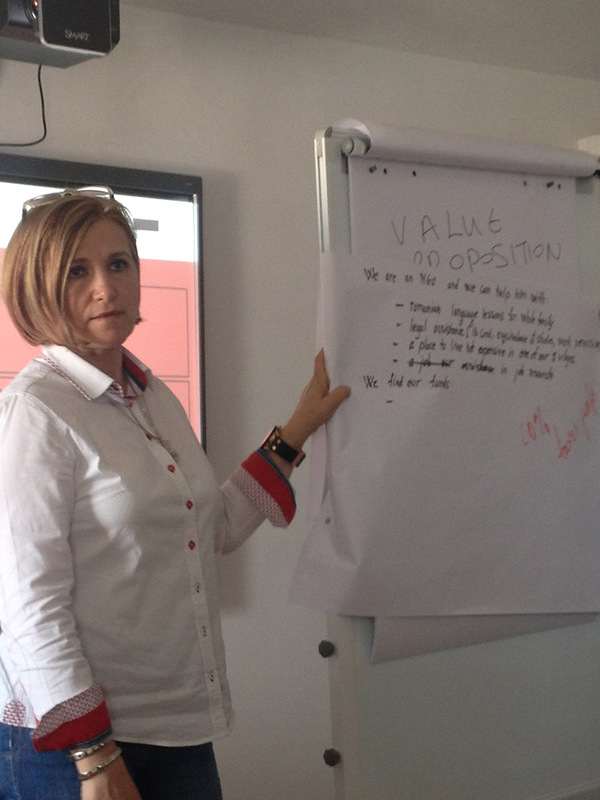 First, the participants described either an item they brought or an item that represented their vision for the solution of the problem, and after they were expected to create an empathy map of the beneficiaries (what they say, feel, think, do, hear, pain, gain, etc. ), including their back story, motivations, frustrations, occupations and so on. Afterwards, participants were grouped in five teams , where they were supposed to debate the value proposition in the case of their selected beneficiaries. 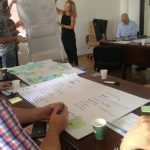 There were no limits on possible solutions, so a dozens of improvements were quickly generated by the participants in different business models. In the following steps, the solutions were narrowed down to a single one for each group. The teams then went on to work on the sustainability of these solutions, pitching the ideas in each round to the members of the other teams. Self-sustaining projects are difficult, but possible – depending of the experience of the team members. 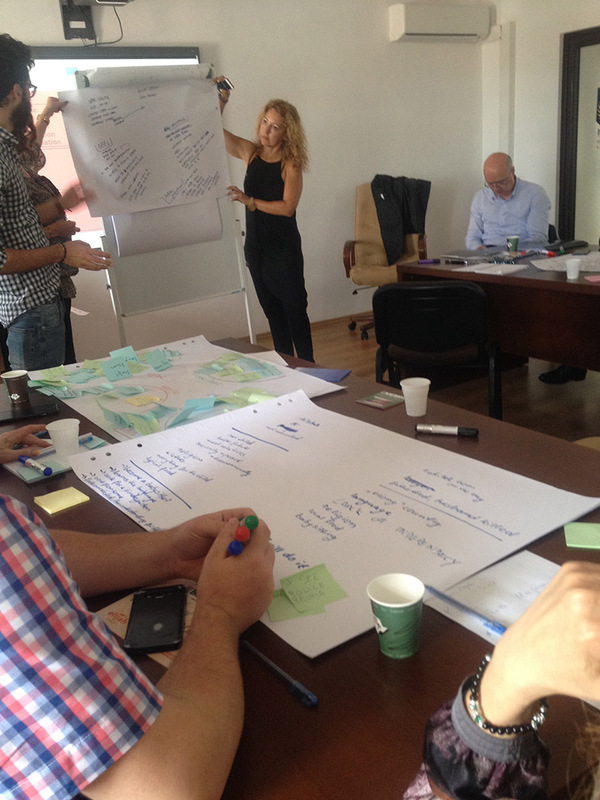 However, an initial capital (money, real estate, or equipment) injection is needed most of the times, but also specific skills are need to strengthen to meet social and sustainability objectives.Each group was asked to build their own business model on how to be self-sustainable and to generate income. In the final stage, they were asked to provide their own feedback, in terms of their familiarity with the issues debated, with skills they need to improve and other related topics. One interesting aspect during the closing-up step was the subjective self- representation of the workshop in terms of an animal, which was done by using post -its on the flip chart. 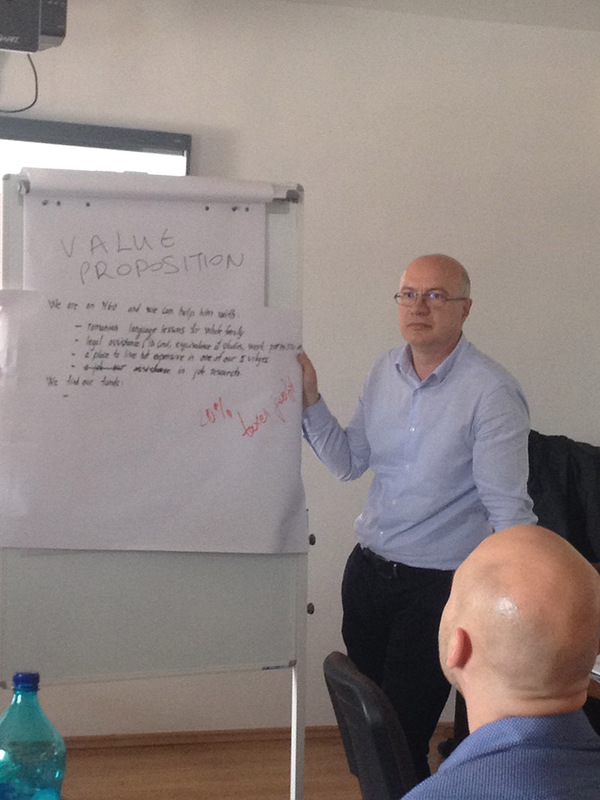 This gave pointed to a picture full of fruitful insights to the whole workshop. 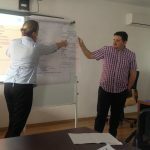 The entire program went in a very swift way and the format of the workshop, especially in the case of the interaction between the participants , which was very high evaluated by all participants. All of them stated their interest to remain informed and involved in the future activities of SOG-TIM. 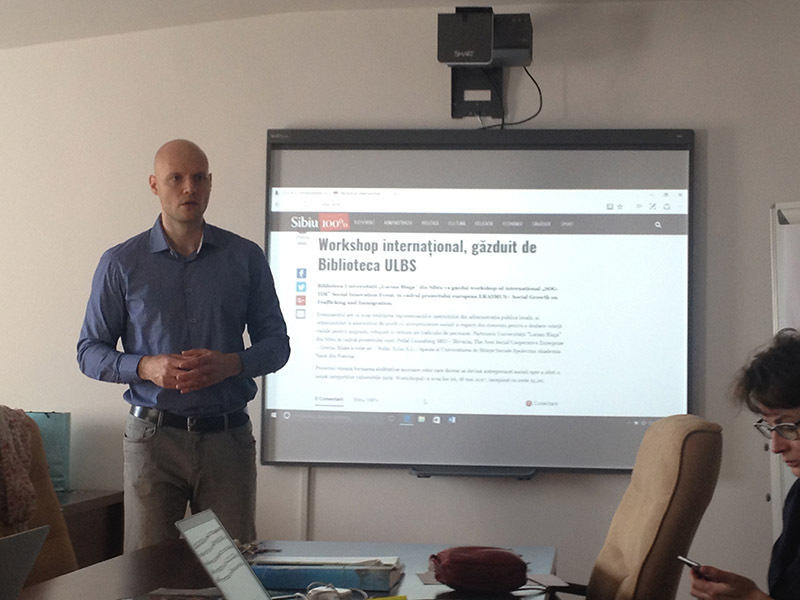 Warm thanks to the Library of the Lucian Blaga University of Sibiu, for their support facilities and provision of the event venue.